Home › Fitness › Stretching: It’s About Range of Motion. Stretching: It’s About Range of Motion. Some of you may be disappointed to discover that stretching is not the ideal warmup routine before an athletic event. Let’s be clear: from the standpoint of muscular power and performance, stretching is not affording you an advantage. What’s Its Place In Fitness? The title of the post says it all: Range of Motion. If all you’re interested in is bench presses, it doesn’t matter if you can’t extend your leg sideways to the level of your head. But if you step into the dojo and spar, it needs to be totally natural, and then some. If you’re trying to do the Dragonfly pose in Yoga class and lack sufficient hip flexibility, you’ll never get past the first part of the movement. It’s that simple. The debate about stretching, for the longest time, has included its functionality as a warm-up. Forget about it. The best warm up is simply doing what you’re going to do slowly and gently before you go fast and furious. It’s a matter of getting the muscles moving and the blood flowing, because when the action starts, it’s maximum strain on all the parts, right? No guy who cares about his car will ever attempt a record run immediately after starting the engine because it takes time for the lubricants to circulate and temperatures to effect all the moving parts. It’s a crude but useful analogy to athletic sports performance. That’s it! Warm up for heavy bench presses by doing light benches first. Before you try to slam a 300 yard drive off the tee, take a number of practice swings. If you teeter on one leg, pulling the other leg behind you doing that goofy looking leg stretch that so many do, people are secretly laughing at you. Besides, it’s dangerous because you might fall. Studies and debates linger about the effectiveness of stretching as a method of relieving soreness. Here’s my simple take on all that research: right now I am sore all over from a heavy total body workout yesterday. All I want to do is let everything rest… eveything. Did I feel like stretching at the end of training yesterday? All I wanted was to hit the showers. If you find that stretching after a work-out reduces DOMS, do it… It doesn’t matter what the tests in the journals conclude. 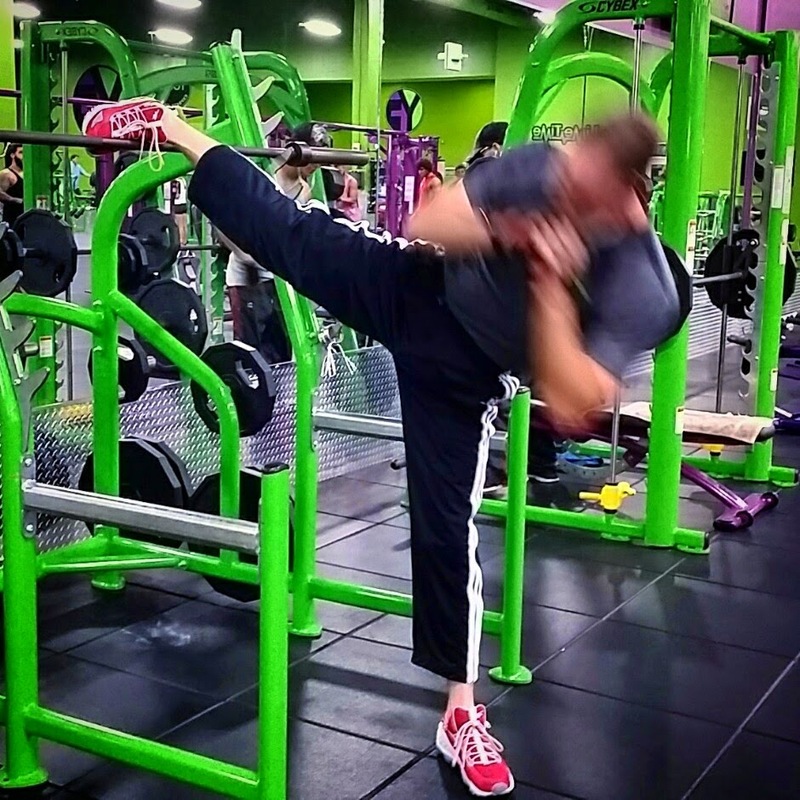 Do I find the increased range of motion that I developed as a martial artist to be beneficial?